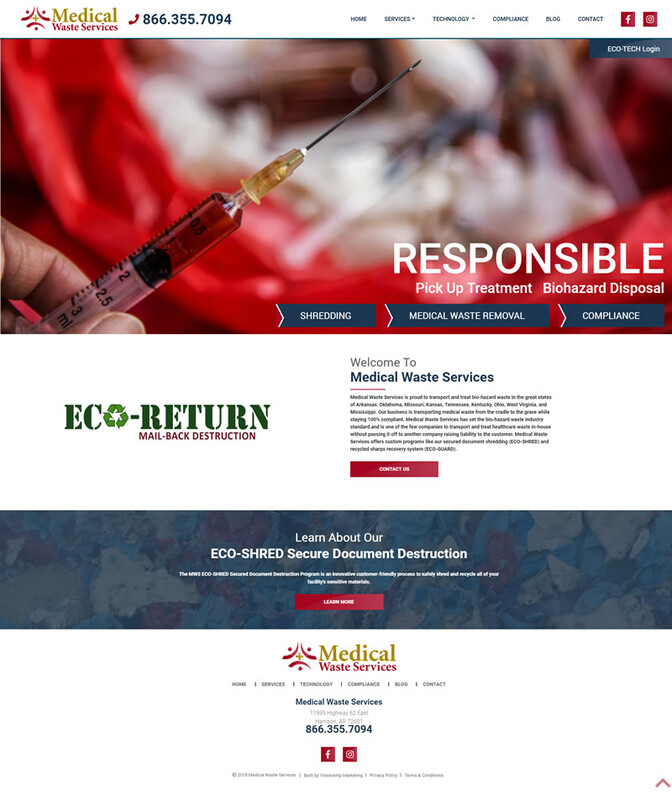 Medical Waste Services recently updated their website. The new website is mobile-friendly and responsive. Visitors to the site can easily browse services and learn more about the company's overall processes by viewing dedicated service and technology pages. The navigation makes it easy to go directly to the page you need. The new site also features a blog. A login button for the customer portal, Eco-Tech, is also located at the top of every page. Medical Waste Services transports medical waste from the cradle to the grave while staying 100% compliant. They also offer custom programs like secured document shredding (ECO-SHRED) and recycled sharps recovery system (ECO-GUARD).